Liver Transplant is the process of transplanting or we can say that it is the process of changing the diseased liver with the perfect working liver. Liver is replaced with the liver of the healthy person. Liver that is to be changed with the liver must match with the receiver body and if doesn’t match this process can't be done. Liver failure and disease of liver results in liver transplantation. It takes 5 to 20 hours for the process of transplanting. First liver transplantation occur in late 60’s.Before transplantation the patient is put on dialysis. Dialysis is the process with which a patient can make to live without liver for few days until the liver is transplanted. In India there are several medical institute and hospital that transplant liver and the cost of transplanting the liver varies from one hospital to other. But there is slightly difference in the cost as it is the major operation. These operation are costly but can save the life of human being. 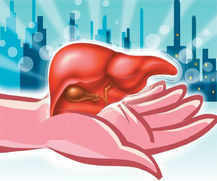 In India the cost of liver transplantation is in between 10 to 25 lakhs depending upon the condition of the patient. Hospital that transplants liver first check the health of the donor of the liver and if it's found some guilty in the process then they stop the action. Hospitals in Delhi are best known for liver transplant in north India. As we know that Liver transplantation is the big Operation than we must know that the cost of this also high and what matters if a life is save in 10 to 20 lakhs, Life is chosen first when we have to choose in between money and life. So don't think it is too costly just think that it is saving life.